Present for more then 25 years on the profile market in Romania, appreciated by specialists as one of the leaders in this domain, Melinda Steel SRL has its main activity in commercialization and distribution of steel products and newly reinforcing steel processing with automatic machines and cut to length services of steel coils. The portofolio includes a high number of metallurgic products, in a wide variety, produced by the most important domestic and foreign manufacturers from Austria, Bulgaria, Czeh Republic, Greece, Hungary, Italy, Polonia, Russia, Turkey, Ucraine. 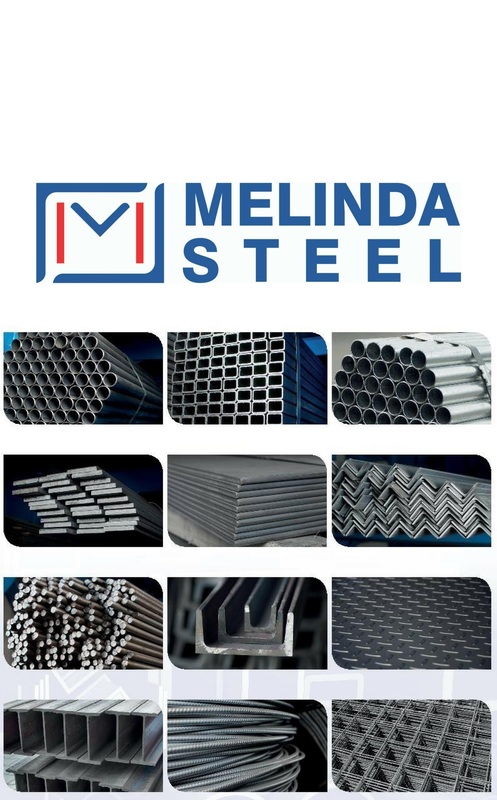 The implementation and application of the ISO 9001 quality management system, guarantees the quality of the services and products offered by Melinda Steel SRL. The company is in a continous process of extension that was materialized through the opening of the operating points in the cities Bucharest, Oradea, Timișoara, Târgu-Mureș, Baia Mare, Bacău, Logistics Center Constanța, Brașov and Craiova. The commercial network formed of the nine operating points is supported by the logistics activity, coordonated by two regional deposits, situated in the cities Constanța and Timișoara. The goods directed from foreign and domestic producers to these deposits are spread to aswell the operating points and also to the big consumers. We are a trusted partner for our clients, whom we offer quality products and services, quoted at the highest standards. We wish to maintain durable relations with our clients, we are permanent receptive to their needs and we want to look forward to all demands with promtitude and profesionalism. our sales team stays permanent at your service. With all that we accomplish we wish to add an important contribution to increasing the efficiency of your business, in terms of quality, availabilty and profesionalism! 1994: foundation of the company Melinda Impex S.R.L. 2000: initiation of the distribution chain. 2003: implementation of the quality management system ISO 9001/2008. 2004: foundation of the company Melinda-Impex Steel specialised in commercialisation and distribution of ferrous and nonferrous products. 2005-2012: continuous teritorial extension through opening of operting points in the strategical zones of the country. 2011-2012: installation of automatic reinforcing steel processing machines at 8 operation points and launching the service. 2013: start of gutter systems production. Over 15.500 square meters of covered depositing capacity. Fleet with a number of 100 vehicles and utilities. Rank 3 according to the 2012 rankings of the top companies with the same domain. Automatic stirrup cutting and bending machines placed at 8 Melinda Steel operating points.